The history of Company C, 1st Battalion, 23rd Marine Regiment (C-1-23) is a work in progress. Our hope is to talk about the people more than the battles. Our desire is to cover the time from the date of activation until deactivation at the end of WWII. This history comes directly from the memories and recollections of former company members and is based on their willingness to contribute. We hope that former Marines will continue to share their thoughts and memories of their days as a member of C-1-23. Each company member will have a unique view of the events as many suffered from tunnel vision because their world was primarily limited to their squad, platoon, or similar sized group. We believe this wide variety of viewpoints will yield a clear and well-rounded picture. We would like to urge all former Company members to contribute their memories, experiences, letters, pictures, documents, memorabilia, and stories to this history. We also strongly believe that family members, wives, widows, children, friends, and neighbors of former Company members have extremely valuable input to contribute such as letters, memorabilia, and their own memories of the experience. We would invite you to send that information to info@c123rd.com and we will go about posting the information on this website. The original authors of this history are John Seymour and Rowland Lewis with generous input from Company C Marines and their families. Mr. Seymour prepared the history through extensive research that included collecting the muster rolls and gathering the memories of those who experienced WWII first-hand. Mr. Lewis and Russ Gross assisted Mr. Seymour in his research. Mr. Lewis and Mr. Seymour collaborated on any discrepancies identified to ensure corrections were made to the best of their ability. Joline Doersam (John Seymour's daughter) provided word processing services on all her father's handwritten spreadsheets, his history chapters, and any letters he, Mr. Lewis, or Mr. Gross received. This information was then emailed to Mr. Lewis who created and maintained the web site. The web site officially went online in 2000 and featured the history of Company C in WWII. At the 2001 Reno Reunion, Mr. Seymour, Mr. Lewis, and Orvel Johnson put their heads together to determine how the database should be set up and displayed online. In 2008, Mr. Lewis passed the web site on to Sherrie Quick Ferguson (a relative of Marine Merrill Quick). At the same time, Mr. Lewis passed on his newsletter and other administrative duties to Mr. Johnson. Today, Mr. Johnson utilizes both Mrs. Doersam and Mrs. Ferguson to help him with newsletters and other materials that are sent out to Company C WWII Marines and their families. Without Mr. Seymour and Mr. Lewis there would undoubtedly be an unorganized scattering of stories across the country and possibly across the internet. 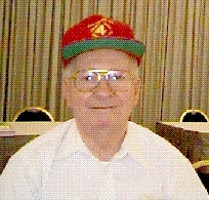 It was the efforts of Mr. Seymour and Mr. Lewis utilizing the generous contributions of the Company C Marines and their families, that formed the foundation of this web site.